Chick-fil-A Calendar for 2012 = FREE Food & Beverages! 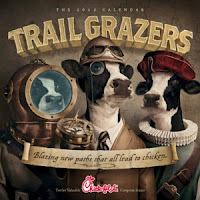 The Chick-Fil-A Coupon 2012 Calendar will be available soon! Ask your local Chick-Fil-A restaurant when they will be selling them because they Sell Out quickly! Calendars cost $6 and include a TON of Coupons! FREE Kinerase Anti Wrinkle Cream + Coupon! Get a FREE Dr. LeWinn by Kinerase Skin Care Sample! This Sample also comes with a High Value $5 Off Coupon! Only available to the first 100,000 to request it. New Pampers Gifts to Grow code available! 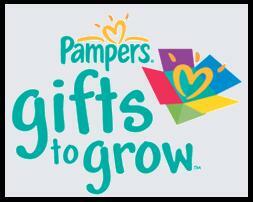 Enter Code FAC1011PR46DYHD to get 10 Pampers Gifts to Grow points! Ziplock Bag & Storage Container Coupons! There are 2 new Ziplock Bag & Storage Container Coupons! I used Zip Code 90210 to find this Coupon. Kids Eat FREE at Chili’s Restaurants! Kids can eat FREE today at Chili’s! This offer is for kids 12 and under. Multiple redemptions per table are allowed, meaning for every Adult Entree purchased you can get a FREE Kid’s Meal! Print the Kids Eat Free Coupon to take to your local Chili’s Restaurant. FREE Sample of Baby Formula! 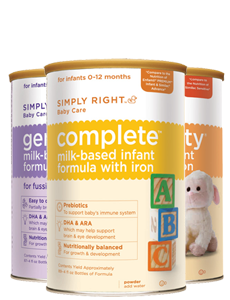 Get a Free Sample of Simply Right Baby Formula! FREE Wall Street Journal Subscription = FREE SmartSource Inserts! Get a Free Subscription to The Wall Street Journal = FREE SmartSource Inserts! Get 26 Issues of Wall Street Journal absolutley FREE! You will have to fill out 2 Surveys and write a few sentences about Business Lunches & Wallet purchases. It takes a few minutes to complete this info, but its worth it for 26 FREE Issues of Wall Street Journal because the Saturday edition includes SmartSource coupon Inserts!! This subscription is absolutely Free and you will not receive a bill! $20 Credit for Anipals Pop-Up design Shirts! Get a $20 Credit to Anipals.net where you can choose a unique Pop-Up style shirt for kids! Deal is listed as $10 for $20 Credit to Anipals.net, but Eversave is currently offering New Members an automatic $3 Credit making this Deal just $7 for $20 Credit! 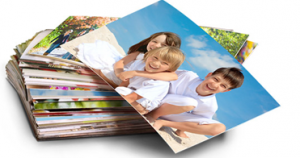 Get 40 FREE Photo Prints + FREE ‘Shipping’ from Walgreens Photo Center! Click HERE to place you order online, you get a total of (40) 4×6 photo prints for FREE! Enter Promo Code DRUGSTORE40 at checkout. If you choose Store Pick-up as the Shipping option your order will be absolutley FREE!!! Code is valid through 11/1/11. T.G.I. Friday’s FREE Appetizer ~ NO Purchase required! Today through Halloween (10/31) T.G.I. Friday’s is giving out FREE Appetizers when you wear a Costume when you visit the restaurant. Free Appetizers include Mozzarella Sticks, Crispy Green Bean Fries or Pot Stickers. Limit one per person at participating locations.